Hanger steaks (aka hanging tenders, butcher’s steaks, "thick skirts", onglets) are cut from the plate, between the brisket & the flank. With a slightly chewy, stringy texture similar to skirt steaks, hanger steaks offer particularly full beefy, liver-y, almost game-meat-esque flavor. Like skirt steaks, they work particularly well with marinades. Until recently hanger steaks were relatively unknown in the US - many American butchers kept them for themselves. They’ve long been popular in Europe and are considered a classic French bistro cut. Today they’re showing up on more and more restaurant menus as American chefs discover their beefy flavor and affordable price. Store fresh grass-fed beef hanger steaks in your refrigerator (frozen in the freezer) until you’re ready to use them. 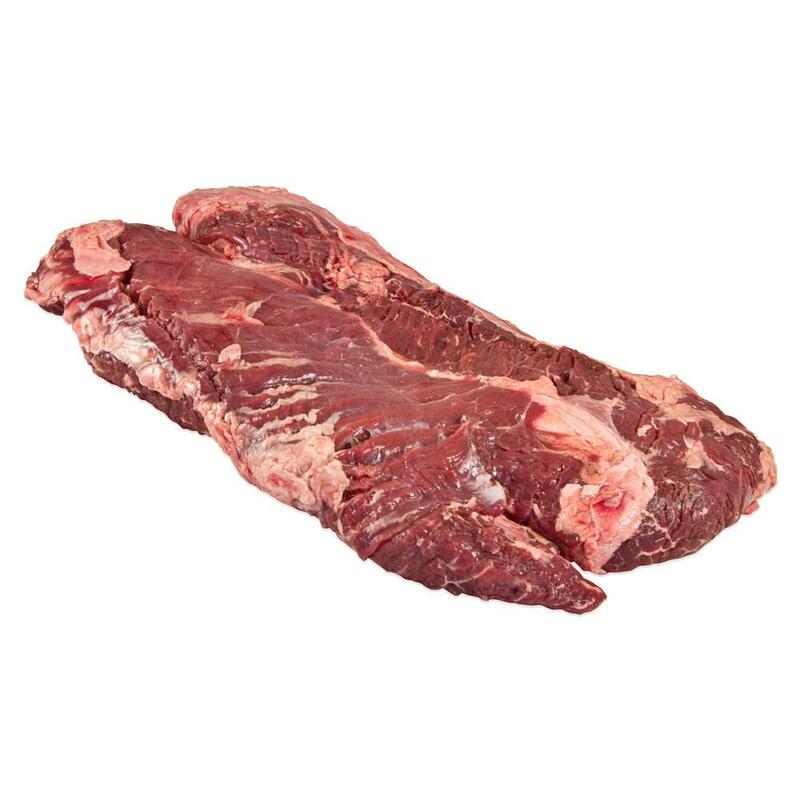 For extended storage fresh hanger steaks can be frozen - either in their vacuum packs or repackaged individually. Hanger steaks can be grilled, broiled, or pan roasted as you would other steaks. See three techniques for cooking steaks for general steak cooking tips. Though not required for a great steak, marinades work well with hanger steaks, introducing additional flavors. Wine, citrus juices (we’re fond of lemon, lime or yuzu juice marinades) and vinegars all make great marinade bases. Be sure to let these steaks rest (loosely covered in foil) for about five to ten minutes prior to serving or cutting. This helps ensure they’re juicy and flavorful when you eat them. If slicing hanger steaks before serving, be sure to cut them against the grain for extra tenderness.